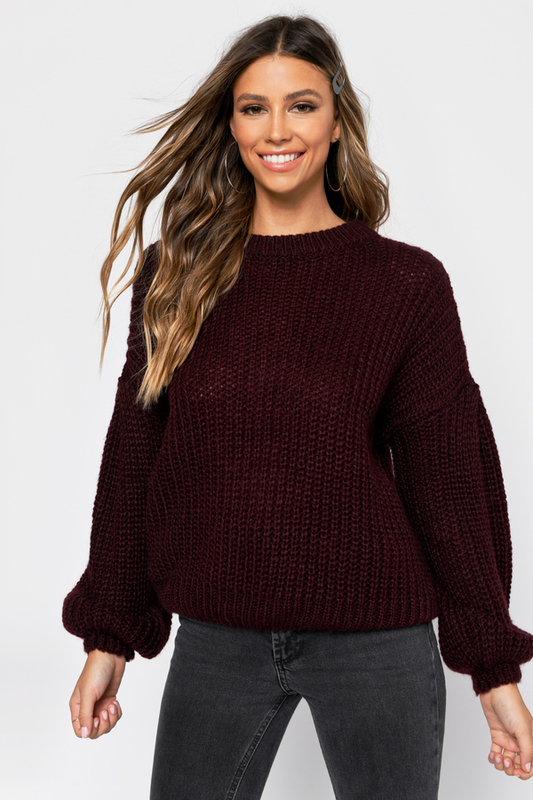 Check out Tobi's Drop It Drop Sleeve Sweater Snug as a hug, the Drop It Drop Sleeve Wine Sweater will keep you warm and chic this season. We love the gorgeous knit fabric, crew neckline, and balloon sleeves, creating a flattering silhouette you'll want to replay over and over. 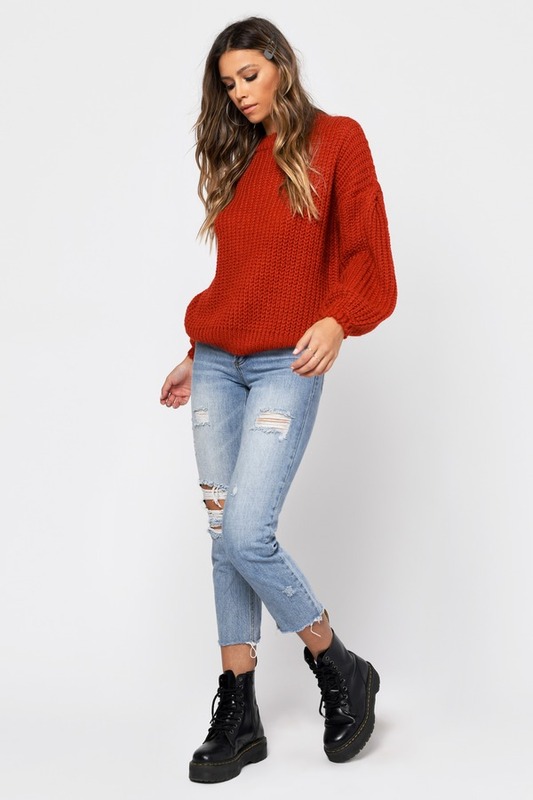 Pair this winter pullover with jeans or culottes! 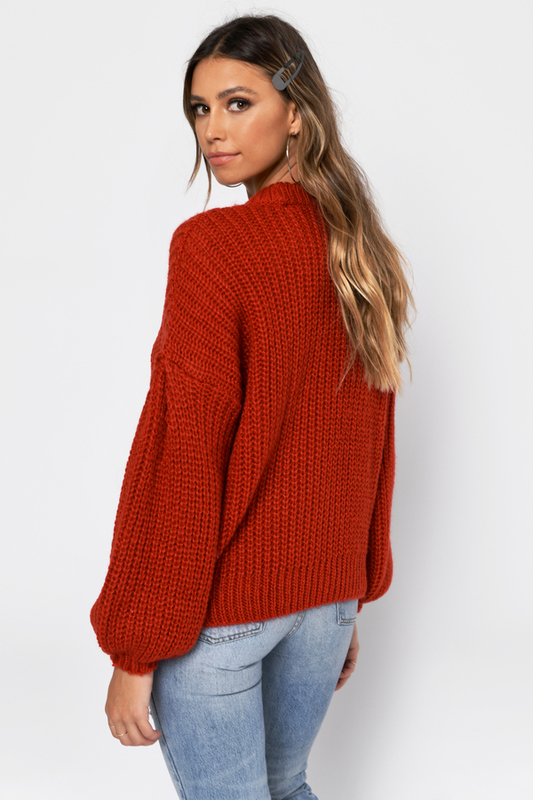 Snug as a hug, the Drop It Drop Sleeve Orange Sweater will keep you warm and chic this season. We love the gorgeous knit fabric, crew neckline, and balloon sleeves, creating a flattering silhouette you'll want to replay over and over. 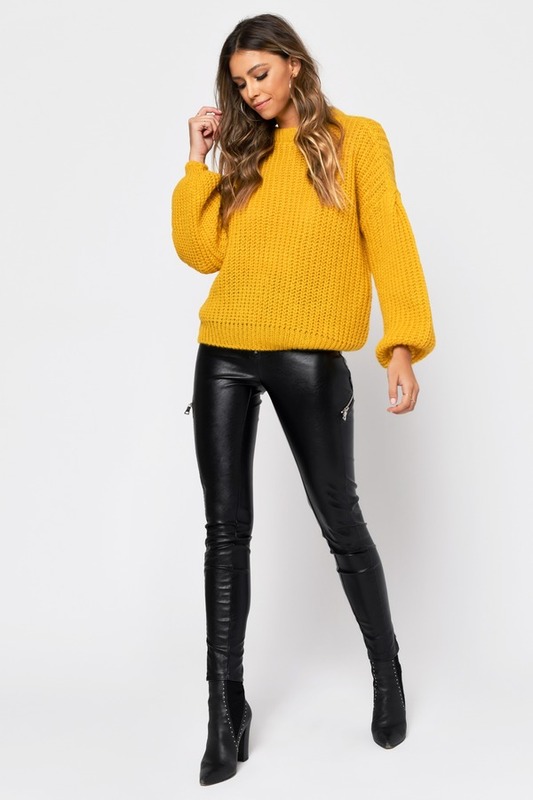 Pair this winter pullover with jeans or culottes! 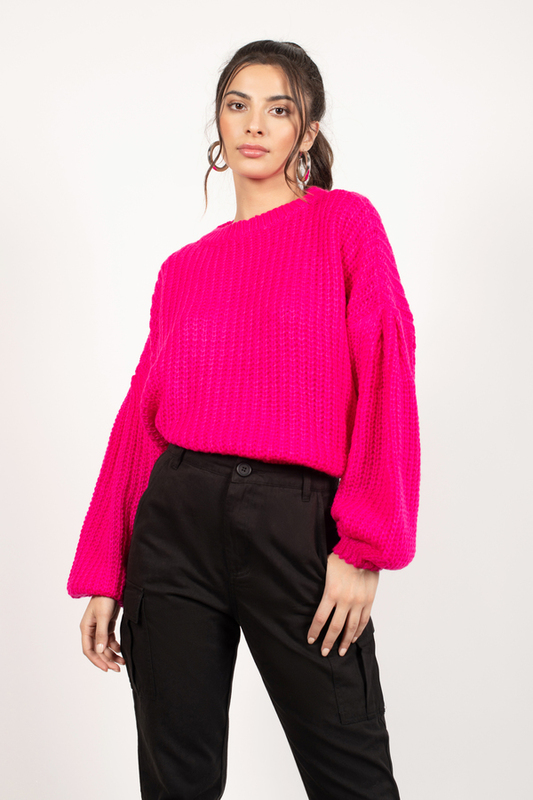 Snug as a hug, the Drop It Drop Sleeve Pink Sweater will keep you warm and chic this season. We love the gorgeous knit fabric, crew neckline, and balloon sleeves, creating a flattering silhouette you'll want to replay over and over. 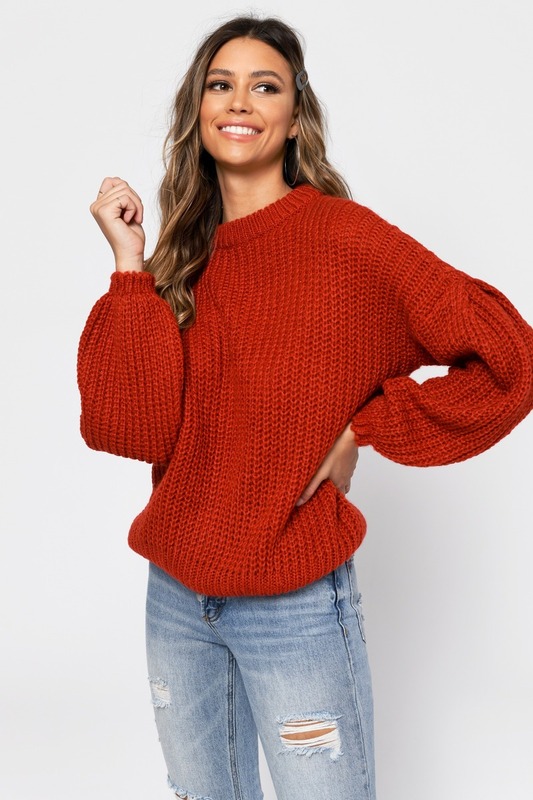 Pair this winter pullover with jeans or culottes! 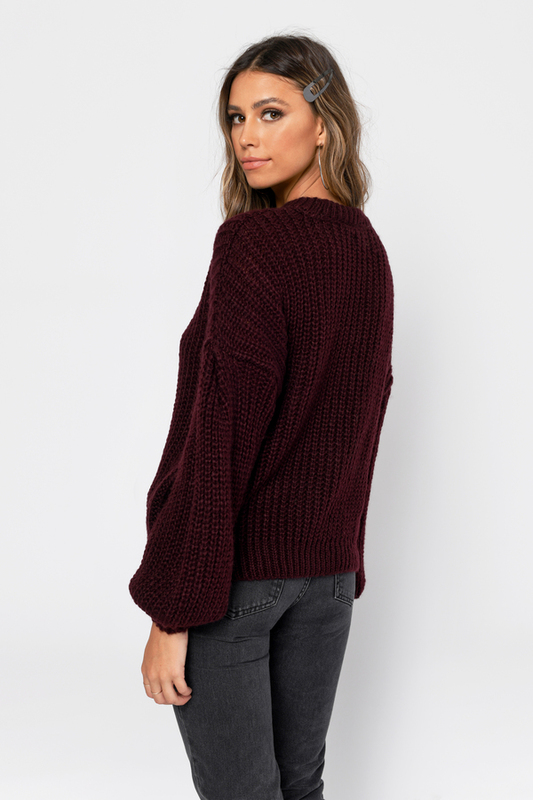 Snug as a hug, the Drop It Drop Sleeve Wine Sweater will keep you warm and chic this season. We love the gorgeous knit fabric, crew neckline, and balloon sleeves, creating a flattering silhouette you'll want to replay over and over. 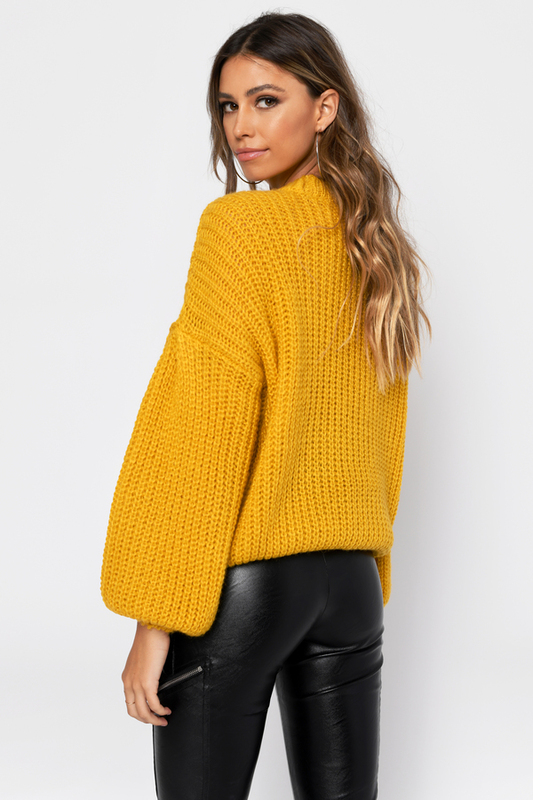 Pair this winter pullover with jeans or culottes! 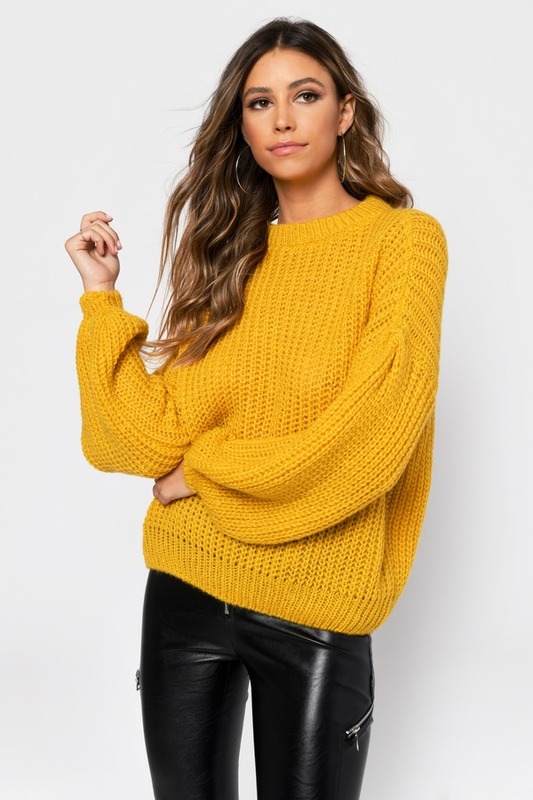 Snug as a hug, the Drop It Drop Sleeve Mustard Sweater will keep you warm and chic this season. We love the gorgeous knit fabric, crew neckline, and balloon sleeves, creating a flattering silhouette you'll want to replay over and over. Pair this winter pullover with jeans or culottes! Pink, Orange, Mustard, Wine modeled on a size Small.